A lot of people have asked me in the last time about how to build a profitable start-up and what kind of people should be employed in such a company. It’s a timely issue because Innovative Economy operational program have been announced by Polish Enterpreneurship Economy Agency (Polska Agencja Rozwoju Przedsiębiorczości, PARP). Having all “success stories” around the world in mind it’s an obligation to find a person who is not afraid of quick decisions, who is courageous and who doesn’t see all the problems. It might sound bizzarely, but the best employee is one without broad experience with running a company. 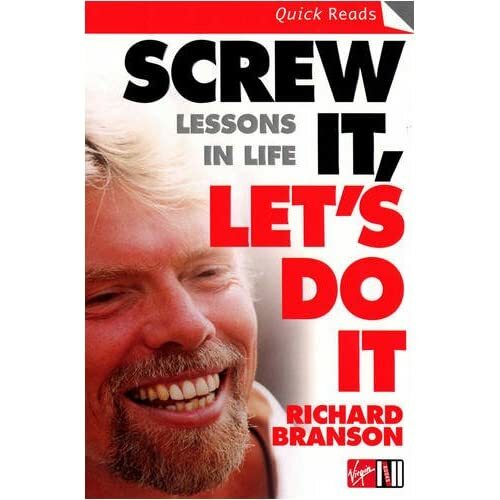 Such people don’t expect too many problems and are not afraid of what the following day will bring… I recommend “Screw it, let’s do it” – how to build an empire. Nie można prowadzić biznesu podejmując tylko same ryzykowne decyzje.